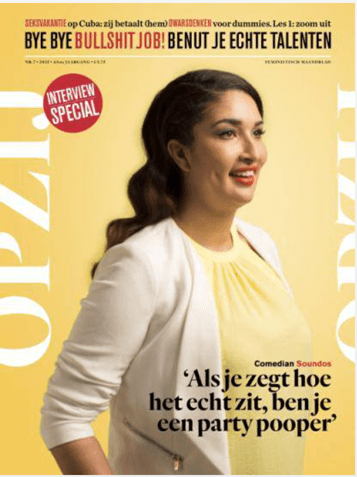 We are happy about the coverage of Zami Life in the great Dutch mag, Opzij. Designer Ruud-Jan Kokke and orthopedist Piet van Loon joined hands in designing an ergonomic ‘smart’ stool that helps you to improve your posture. The Zami Smart Stool, as the design is called, has a curved seat makes you automatically a lot better sit up. The sensors in the four legs measure how you are there.This information is sent by Bluetooth to your smartphone, so that the corresponding app offers advice on further improvements. 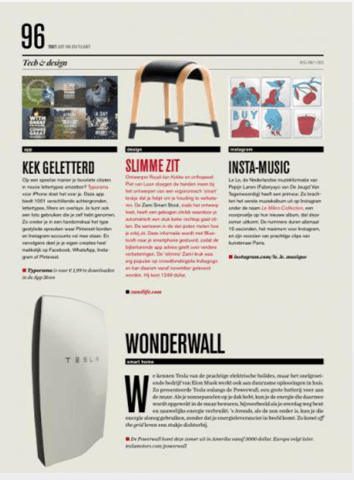 The “smart” Zami-stool was very popular crowdfunding site Indie Gogo and can therefore be delivered from November. It costs $ 1249.